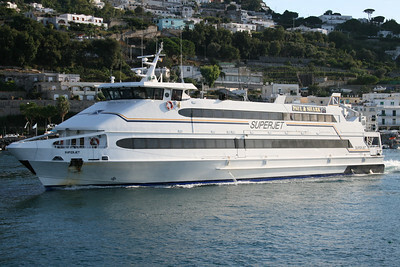 2008 - HSC SUPERJET in Capri. 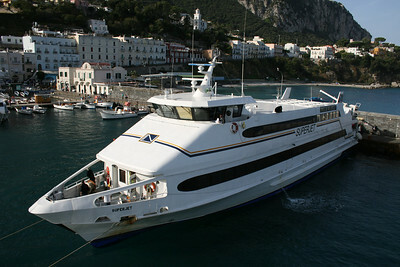 2008 - HSC SUPERJET in Capri : operating station. 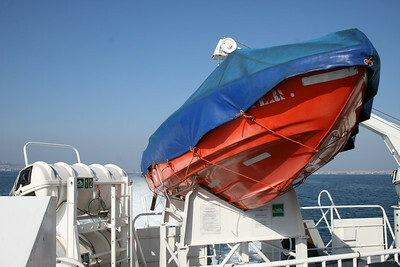 2008 - On board HSC SUPERJET : fast rescue boat. 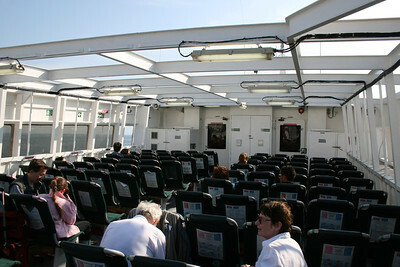 2008 - On board HSC SUPERJET : upper deck. 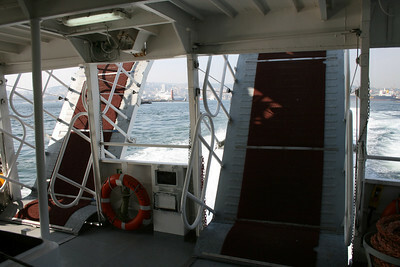 2008 - On board HSC SUPERJET : raised walkways. 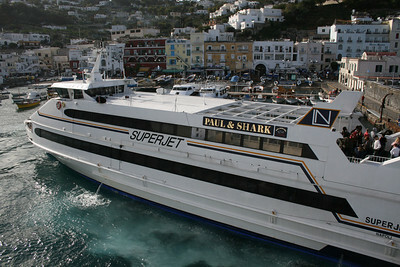 2008 - HSC SUPERJET departing from Capri. 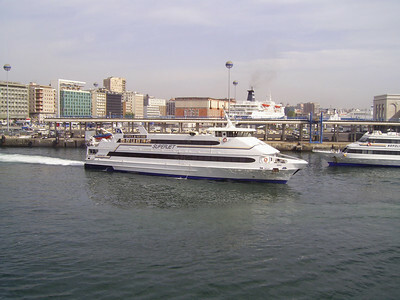 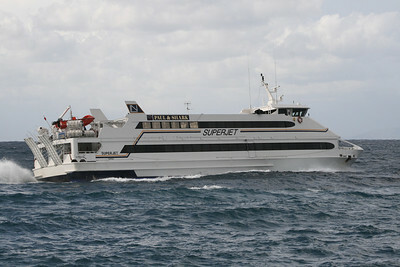 2008 - HSC SUPERJET on a bad sea. 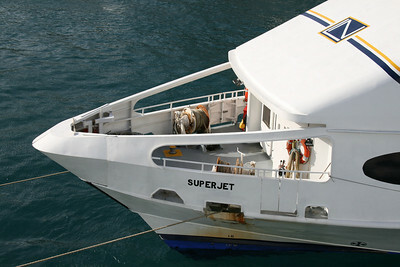 2008 - HSC SUPERJET jumping on a bad sea. 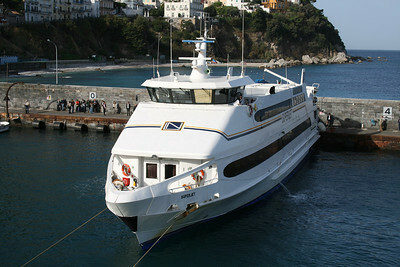 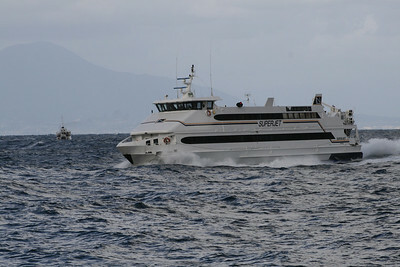 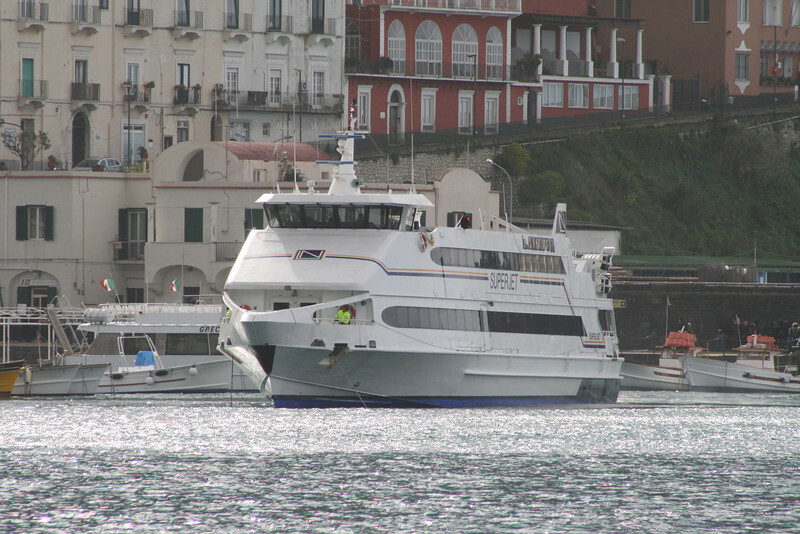 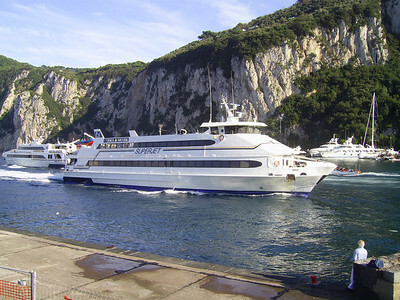 2008 - HSC SUPERJET arriving to Capri. 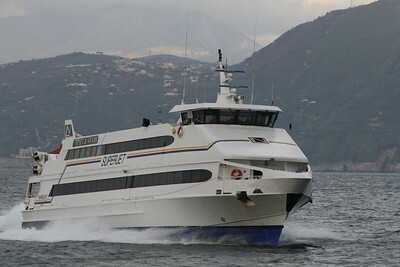 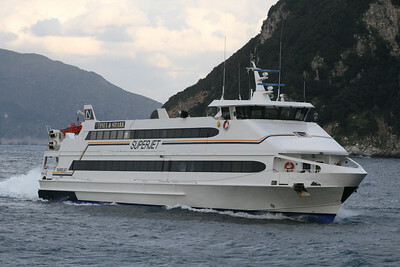 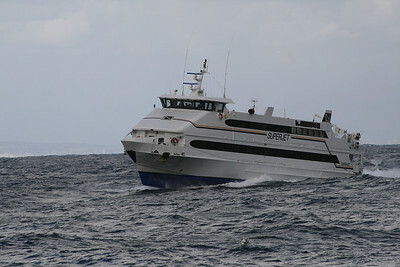 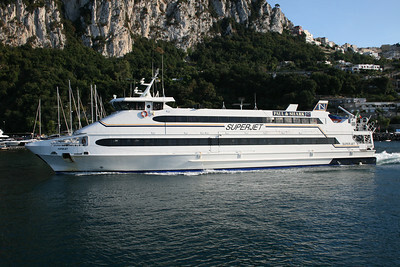 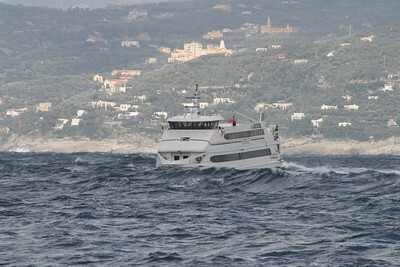 2008 - HSC SUPERJET at sea on route to Capri. 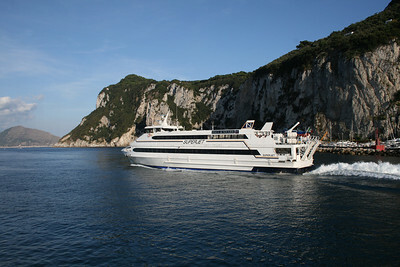 2007 - HSC SUPERJET arriving to Capri. 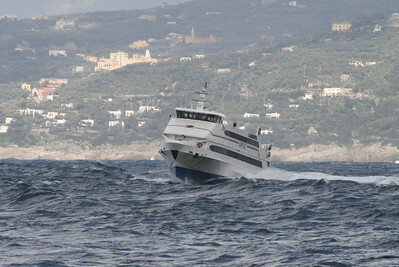 2007 - HSC SUPERJET departing from Napoli. 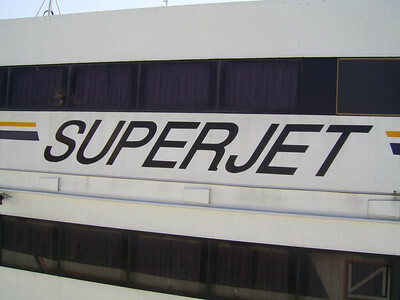 2007 - HSC SUPERJET : the name on starboard side.